Why Use Coco Coir for Growing Cannabis? Interested in growing cannabis with coco coir? Coco coir is a relatively new growing medium for cannabis that gives the experience of growing in soil, but many of the benefits of growing cannabis in hydro (such as faster growth and bigger harvests). A lot of cannabis growers have started adding coco coir to their garden, but there isn’t a lot of information about exactly how to use coco coir for cannabis. It can be confusing since coco coir usually comes in dehydrated bricks with no instructions. Coco coir is made of fibrous coconut husks. These husks have proven to create a great growing medium for cannabis. Recently coco coir has started replacing peat moss in popular potting mixes. Coco coir is a versatile growing medium that has benefits for many different types of growers. Coco coir can be used by itself as a growing medium, or it can be mixed with soil to help fix compaction and loosen the soil. 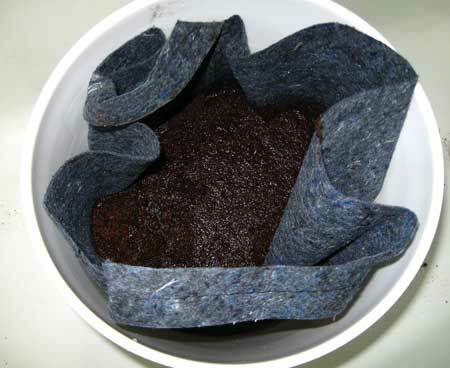 One of the most suitable ways to use coco coir for cannabis (in my opinion) is to mix pure coco coir with about 30% of an airy amendment like perlite, and provide nutrients through the water. This creates an amazing environment for cannabis roots to thrive. 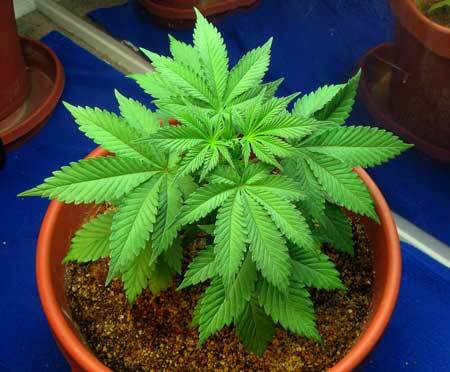 Cannabis Plants Thrive When Growing in Coco Coir! Feels Like Growing in Soil – Coco coir is a soilless growing medium which gives the experience of growing in soil. Plants are kept in regular pots, and growers simply water their plants with nutrient water. Coco coir can be treated basically the same as soil for growing cannabis. Great for Plant Roots – Coco coir is effective at holding onto moisture and nutrients for roots, but also has a lighter texture that lets it hold onto more oxygen. 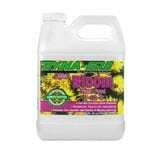 This helps prevent over and underwatering. Coco coir tends to promote healthy and fast root development compared to other potting mixes. Good for the Environment – Unlike peat, coco coir is sustainable for the environment. It also doesn’t have to be replaced every grow. 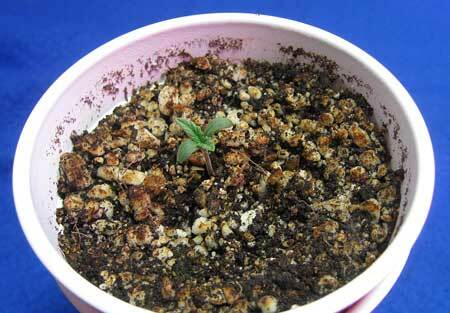 Instead of breaking down like peat, coco coir is slow to break down and can be used more than once. Does Not Attract Insects – Coco coir does not make a good home for many garden pests that affect soil growers. Cannabis growing in coco coir are much less likely to be attacked by pests or bugs. Grow Faster than Soil – Coco gives a lot of benefits of hydroponics, which causes plants to grow fast by providing nutrients to the roots in the most easily accessible form. 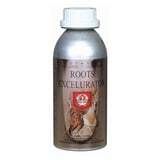 Plant roots don’t have to go out and search for nutrients, saving the plant precious energy. But growing directly in water can be complicated. Coco coir gives many of the benefits of hydro with a soil experience. This results in a quicker harvest and bigger yields for you as the grower. Which Pre-Made Coco Mix to Get? Although you can re-hydrate coco bricks at home, a pre-made mix takes out all the work! 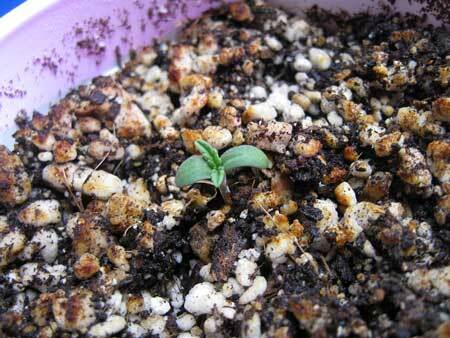 I highly recommend Mother Earth Coco Mix (70% coco / 50% perlite) as a pre-made coco coir mix for growing cannabis. 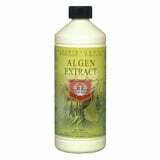 It’s what I used in my last two grows and I had great results. Additional pre-made coco mixes that work great for growing marijuana include FoxFarm BushDoctorCoco Loco and Roots Organics Coco Soilless Mix. What you’re looking for is that the mix contains at least coco and perlite, though many contain small amounts of other nice goodies in the ingredient list like: worm castings (great! 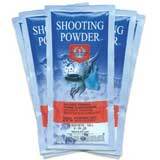 ), mycorrhiza (great type of fungus), bat guano, kelp meal, oyster shell, dolomite lime, etc. Must Provide Nutrients from the Beginning – Coco coir is an inert growing medium with no inherent nutritional value, so growers must provide nutrients and manage pH throughout the grow. However, this is also the case for many soil growers as well. Unless starting with composted super soil, most soil growers end up having to add nutrients and manage pH just like with coco coir. You Need a Cal-Mag Supplement – Cannabis plants grown in coco coir tends to need more calcium compared to other growing mediums, so usually a standard “Cal-Mag” supplement is needed to make sure plants get all the calcium they need. These contain calcium as well as magnesium (which is needed for your plant to be able to use the calcium properly). 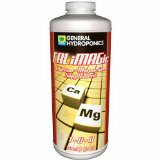 Two great Cal-Mag supplements for cannabis are CaliMagic by General Hydroponics or CaliMagic by Botanicare. 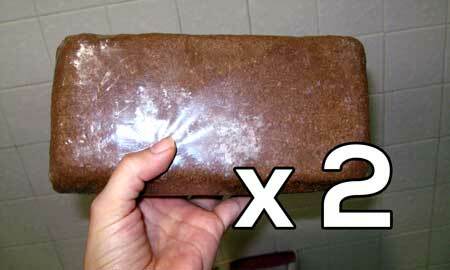 Coco coir usually comes in dry bricks, so the bricks have to be re-hydrated before you can grow plants in the coir (explained below, it’s actually really easy). However, if you don’t mind spending a little bit more, there are pre-made mixes with coco coir that are formulated specifically for plants like cannabis. Coco coir holds onto a lot of moisture, but also holds onto more air than similar materials, so your plant roots are getting the oxygen they need to thrive. 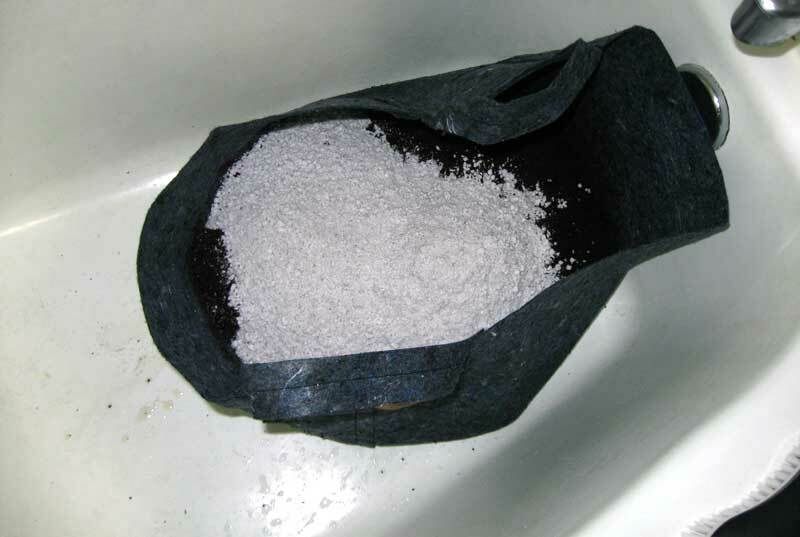 When mixed with perlite, it provides an ideal amount of water and air for cannabis roots. Coco coir drains well so plants are less likely to get overwatered, but it also holds onto nutrients so you use less fertilizer. Once your plants are in a good coco coir mix, you just add nutrients, water and light to get happy plants. Although growing cannabis in coco coir is becoming increasingly popular, one of the problems is that there’s not enough free information to help new growers know what to do. It’s only a few simple steps get your coco coir mix in tip-top shape, and this tutorial will show you exactly how to do it. Which Nutrients for Coco Coir? 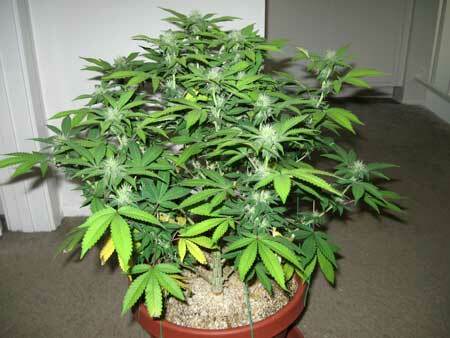 When growing cannabis in coco coir, always use nutrients made for coco coir or hydroponics. Most growers also benefit from adding a “Cal-Mag” supplement, which is a common gardening supplement that provides extra calcium. 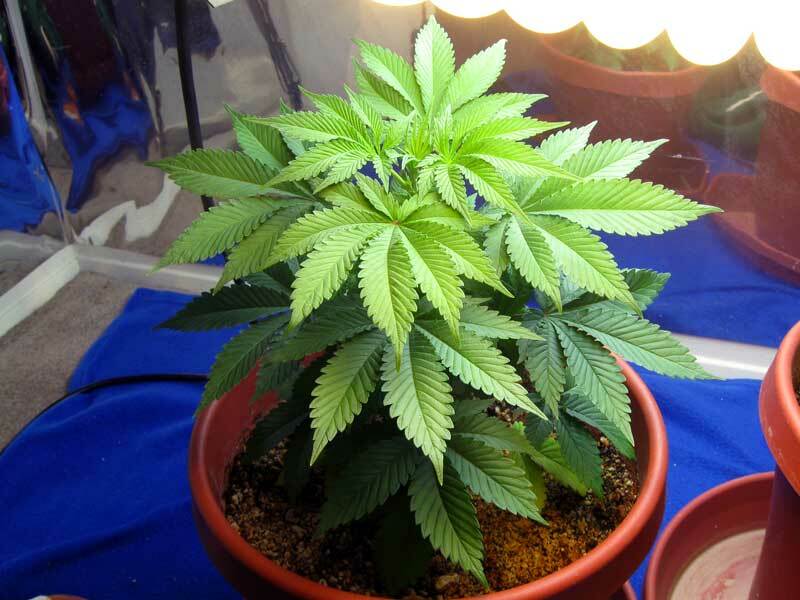 Learn more about which nutrients you should use for growing cannabis in coco coir. There are pre-made coco coir mixes, but they are usually more expensive than the cost to make a mix yourself. A pre-made mix is heavy like soil because it’s already been hydrated with water. 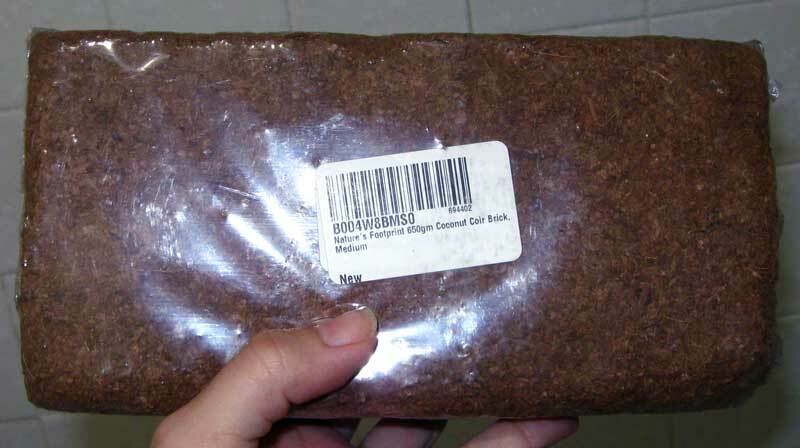 This makes a pre-made coco coir mix expensive to ship, and heavy to carry around. If you’re willing to rehydrate your coco at home, you can skip paying a premium for water. Everything you need to make your coco coir mix can be sent discreetly to your house. You just need some coir bricks and an airy bag of perlite which can be bought at any garden store. With this method, there’s no lugging a huge bag of potting mix home, or paying for shipping to have it delivered. This tutorial will show you how to re-hydrate coco coir bricks and mix with perlite to create a rich, cannabis-friendly potting mix. I will also share some hints about growing cannabis in coco coir and how to take care of your plants for the best results. If you follow these instructions, you will end up with 9-10 gallons of potting mix. I used this to fill four 2-gallon pots plus six solo cups, which is a perfect amount of soil for me to grow 4 plants. 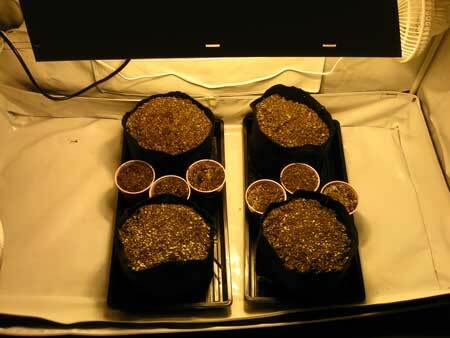 Ready to start your coco coir tutorial? Your garden will thank you for it! Buy a Pre-Made Coco Coir Mix! 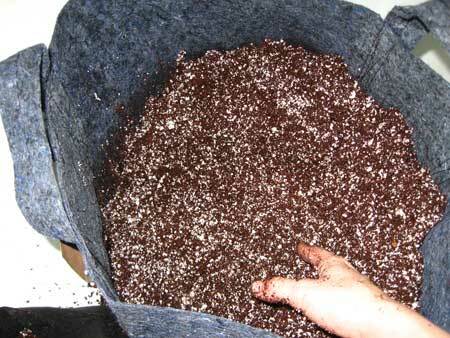 Mother Earth Coco Mix is a highly recommended pre-made coco coir mix for growing cannabis. 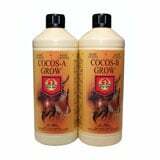 However, many coco mixes work great for growing marijuana, including FoxFarm Coco Loco and Roots Organics Coco Soilless Mix. The following tutorial makes about 10 gallons of potting mix. Double the recipe for 20 gallons! 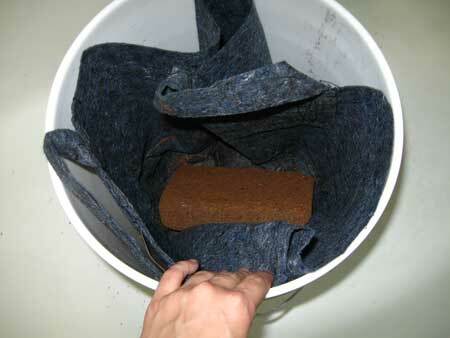 For this tutorial, I used two bricks of a standard 650g Coconut Coir Brick. Any similarly sized bricks from a reputable company will also work. 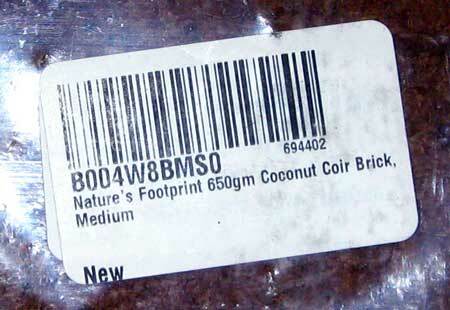 I used “Nature’s Footprint” Coco Coir, but any 650g Coconut Coir Brick will work great! 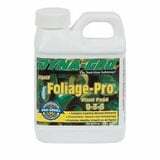 I have used Shultz, Espoma, Black Gold, and even Miracle-Gro brand perlite. Any 8-quart bag of perlite will work. 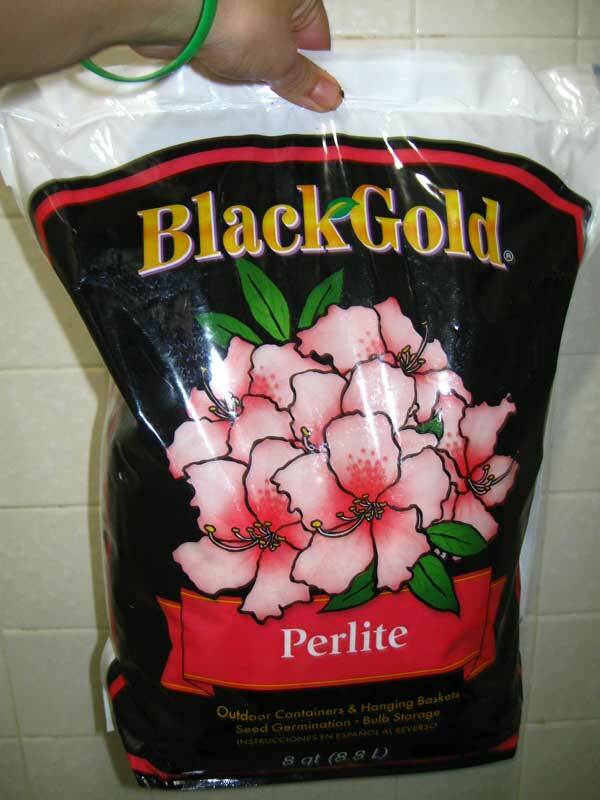 Perlite can often be found in garden stores or the garden section of places like Home Depot and Lowes. I normally advise against all things Miracle-Gro, but their 8-quart bag of perlite is okay for this tutorial if you can’t find anything else. 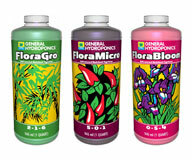 But remember, never use Miracle-Gro soil or their standard nutrient formula! Any bag of horticultural perlite from any manufacturer will work for this tutorial! I use a 10-gallon fabric container from Mad Farmer (basically a Smart Pot by a different company) because it’s sturdy, has handles and will stand up on its own after adding coco coir. 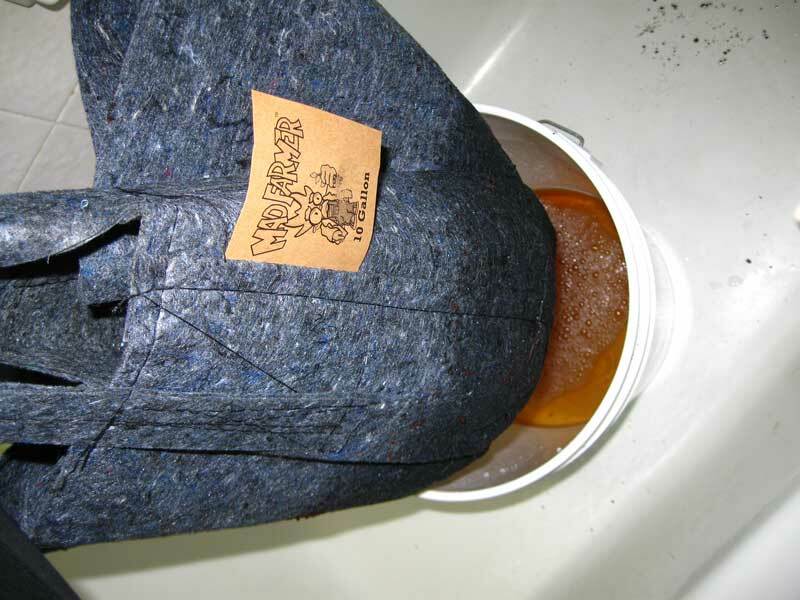 ​You could use a 10-gallon Smart Pot, two pillow cases stacked inside each other, or any other fabric container that lets water through and is tough enough to hold 5 gallons of soil. Note: You also need access to water and a drain for this coco coir tutorial. Run your finger nails over a bar of soap. This adds a layer of soap under your finger nails, which will prevent coco coir from getting stuck under your nails. Save yourself the time it takes to clean your nails after you’re all done! 2.) 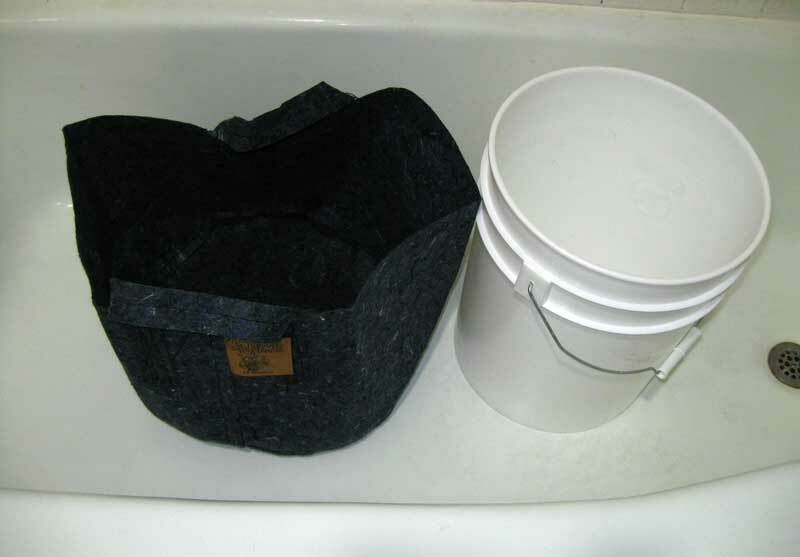 Line inside of 5-gallon bucket with fabric container. 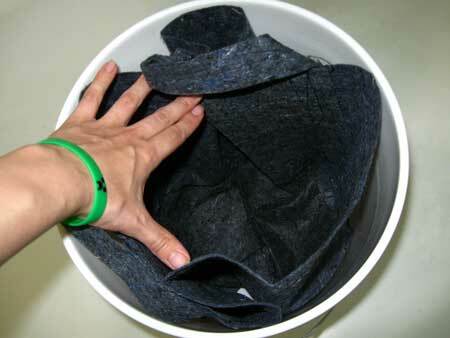 The inside of the bucket should be lined all the way to the top, and you need to have enough extra to be able to easily grab the top so you can lift it up later. 4.) Fill the bucket halfway with water. Optimally, you can add a Cal-Mag supplement and pH this water to 6.0 before soaking. This can help make sure your coco coir has extra Calcium and also help it get into the right pH range right from the beginning. Honestly though I often use water right out the tap. 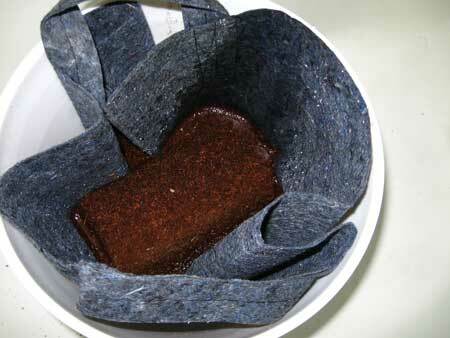 You’ll be adding Cal-Mag and setting the pH later, but the “best” way is to start supplementing your coco coir now, and it definitely may save you time and trouble later. You’ll see the brick almost instantly starts getting soft once it makes contact with the water. 5.) Wait 8-10 minutes or until the coco coir gets fully hydrated. If you stick your hand in and there’s no more hard parts left, then you’ve waited long enough. The coco coir should feel soft all the way through the bucket. You can mix the slurry around with your hands to get it to break up faster if you’re in a hurry. Some growers let it soak longer, especially if they’re using pH’ed water that’s been supplemented with a Cal-Mag supplement, giving the coco more time to “take in” the good stuff. But I usually wait about 10 minutes and go to the next step. 6.) Pull liner up and out, letting water drain. 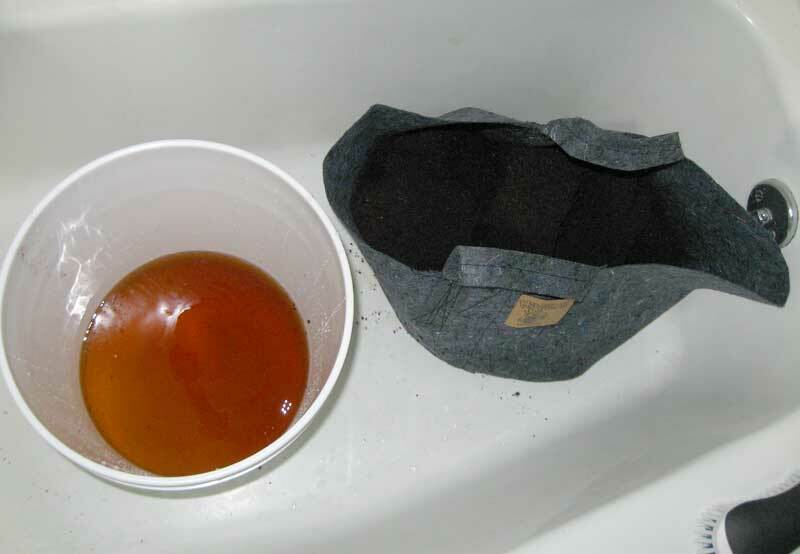 First let the majority of the extra water drain out into the bucket, then place the liner in the tub or on the ground so it can continue to let water drain out slowly. This moving gif should hopefully give you an idea. After mixing, your potting mix will feel light and kind of soggy. You should end up with something that looks like this. One batch makes about 5 gallons of potting mix, so it should easily fill a 5-gallon container. You could also use it to fill 3 x 2-gallon containers or 2 x 3-gallon containers, though in both cases you’ll be a little short. Don’t worry if the mix feels soaking wet, it will dry in the fabric pots once you have a fan blowing over them in your grow tent. Now you fill the rest of your fabric containers and possibly solo cups for seedlings. Note: If you do use solo cups, make sure to cut holes into the bottom so that water can drain out after you’ve watered your plants. Always test to make sure water runs through cup freely. If you have a hard time filling up an empty solo cup with water because it’s running out the bottom, you have added the right amount of drainage. Recap: Do you have everything you need to make your coco coir mix? You’ll need the following items to complete the tutorial above. The above tutorial should leave you with about 10 gallons of potting mix. Or Buy a Pre-Made Coco Coir Mix! Now that you’ve got your mix ready (or purchased a pre-made coco coir mix), it’s time to start growing! This isn’t the only way to grow cannabis in coco coir, but this is what I do and it works great. 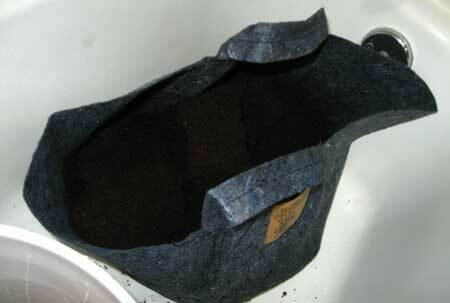 It directly follows the tutorial above for rehydrating coco coir and creating a coir-perlite potting mix. Any quality cannabis nutrients made for hydroponics will work well as long as you also use a Cal-Mag supplement. Like nearly all cannabis nutrients, the included schedule is aggressive and can burn your plants if given with every watering. No matter what nutrient system you’re using with your coco coir, I recommend giving plain water every other watering to prevent nutrient buildup. If you followed the above tutorial to make your own coco mix, you’ll have about 10 gallons of potting mix. 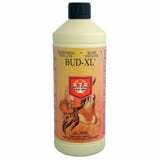 This can be used to fill 2 x 5 gallon pots, 3 x 3 gallon pots, or 5 x 2-gallon containers. I recommend larger containers for larger plants and to water less often. I recommend smaller containers for smaller plants, and when the grower is willing to water more often. 2.) After seedling grows first set of “real” (serrated) leaves, water with nutrients at normal seedling strength, and add a regular dose of Cal-Mag (Calimagic). Keep giving water until you get about 20% runoff out the bottom of the solo cup. The first set of leaves are round, but the second set are serrated and pointy. Once you see those leaves, it’s time to water your seedling with nutrients. 3.) Maintain seedlings. Some growers will put their Rapid Rooters in solo cups, while others put their seedlings directly in their final container. Either way, your job is the same. Make sure your seedlings get plenty of light while making sure that it’s never too hot for your seedlings. Place your hands where your seedlings are and wait 10 seconds, if it’s too hot for you, it’s too hot for your plants. 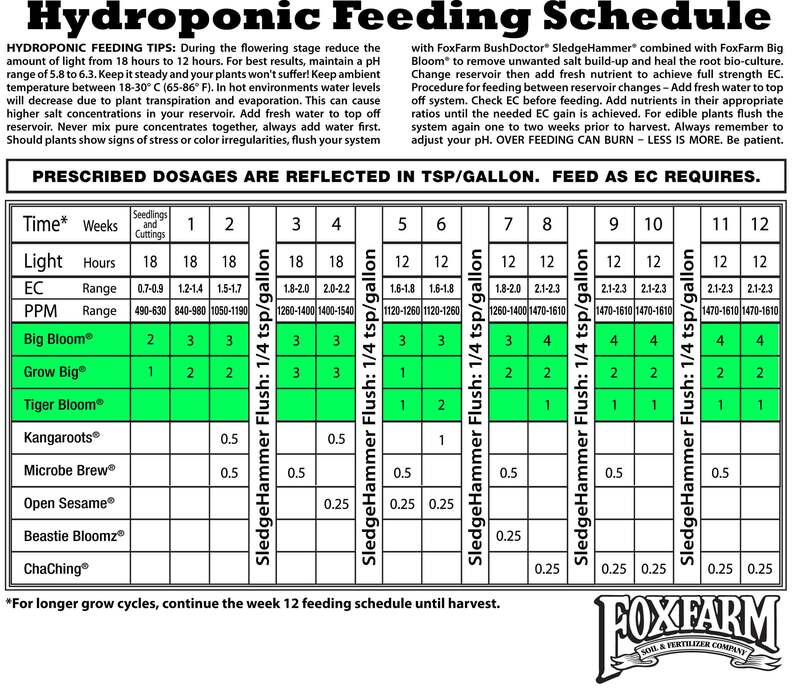 Continue to water plants at full seedling strength of the included nutrient schedule for the General Hydroponics Flora Series plus Cal-Mag. When watering, keep giving water until about 10-30% extra runs out the bottom. Then don’t water again until the top inch or so starts feeling dry to the touch. If you notice water is not draining out, you need to fix that right away. Water should be able to drain freely soon after you start watering. 3b.) If you started in solo cups, you should transplant to bigger containers once the seedlings have grown about 3 sets of leaves. Once your seedling has grown 3 sets of leaves, it’s time to transplant to a bigger container! 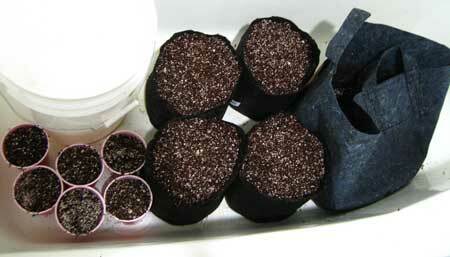 Dig a small hole in your coco coir containers so there’s room for the new seedlings. 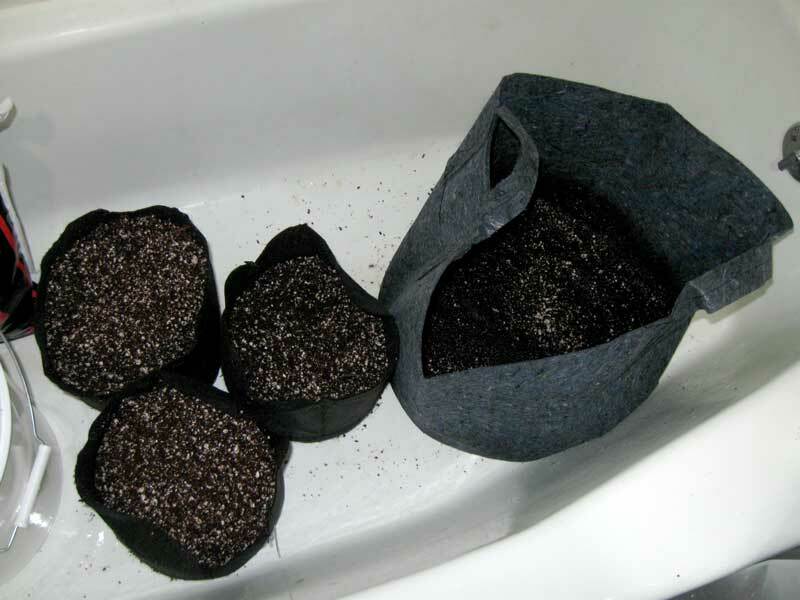 Take a butter knife and carefully slide it all around the edges of each solo cup, then carefully transplant your seedling into your bigger coco coir containers. 4.) Maintain vegetative plants until they are half the final desired size. Cannabis nutrients tend to have schedules that give too high levels of nutrients for proper growth. If you’re using the custom nutrient schedule I created for you above, you can simply follow the instructions. But if you’re using a different nutrient system, I encourage you to start providing all nutrients in the water at half strength. Continue to water plants with nutrients with 10-30% extra runoff. 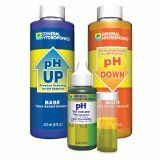 Continue to always adjust pH water to 5.5-6.5 before giving it to plants. If desired, this stage is when you start plant training (I recommend waiting a few days after the transplant to make sure plant isn’t stressed before starting any training). Note: If you are growing auto-flowering plants from seed, it’s recommended you don’t use any plant training techniques besides LST. If you notice the lower leaves are starting to yellow, and the yellowing seems to be climbing up the plant from the bottom, it probably means you have a nitrogen deficiency. Look at the nitrogen deficiency page to make sure. 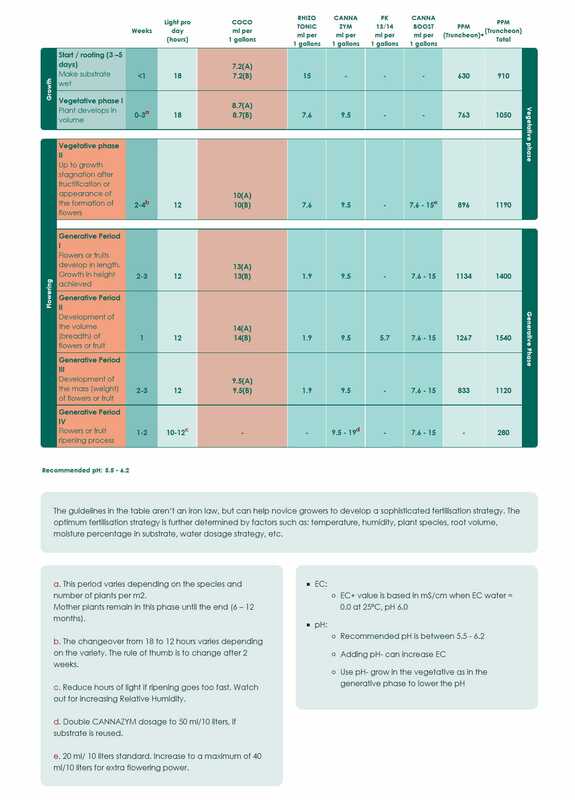 If you have a nitrogen deficiency at this stage, it means your plants need higher levels of nutrients. If so, increase your nutrient levels slowly, watching closely for signs of nutrient burn (which means too high levels of nutrients). Remember that yellow leaves will likely not turn green again, so don’t look to old leaves for recovery. What you’re looking for is making sure the problem isn’t still spreading to different leaves. It’s also likely that any improvement may take a few days after you provide increased nutrient levels. So don’t keep upping your dose until you’ve given your plant a few days to a week at the new level! 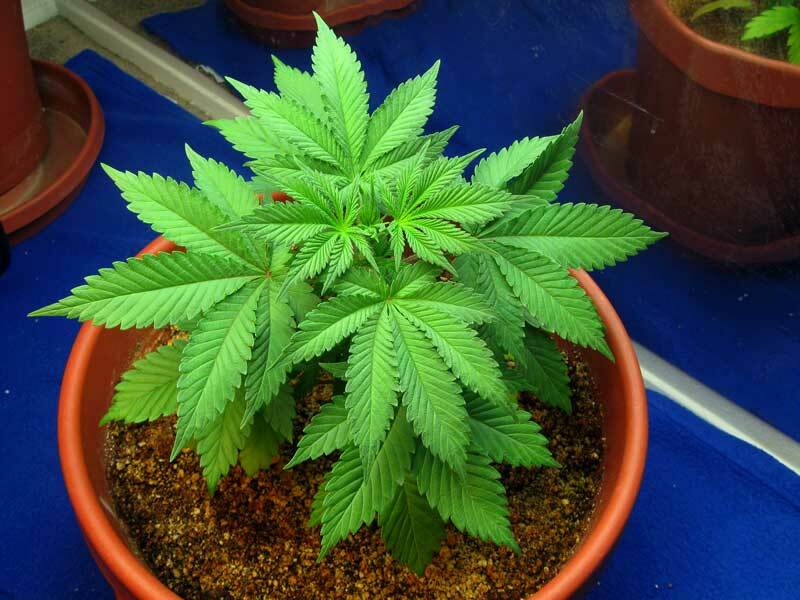 Once plants are half the desired size, switch to the flowering stage (if you have auto-flowering plants, they will automatically switch to flowering after about 3 weeks). ​This stage lasts until your plant is about half the size you want it to be in the end. 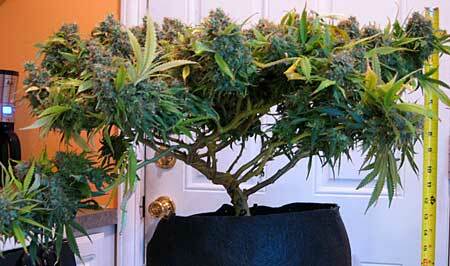 After your plant has grown half the desired size, it’s time for the next step. 5.) Switch to the flowering stage. With regular plants, you do this by changing your light schedule to 12-12 (12 hours of light, plus 12 hours of uninterrupted darkness). 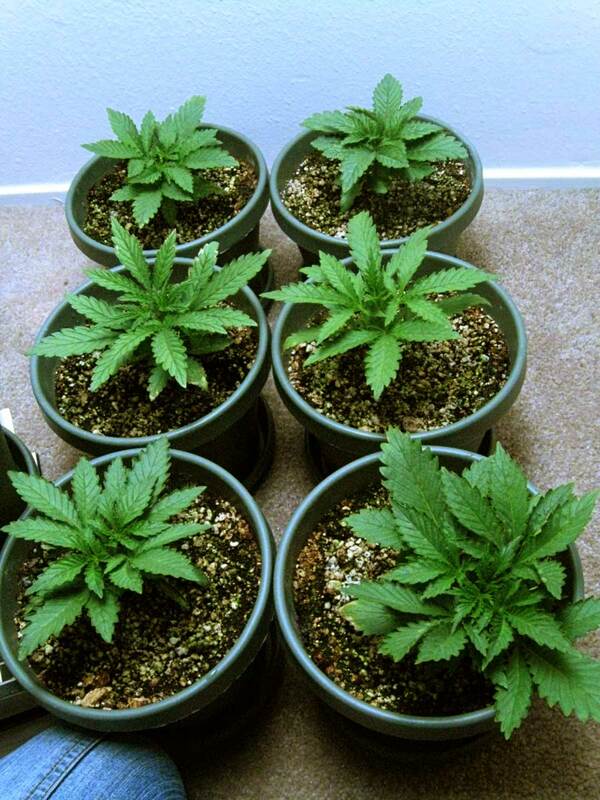 With auto-flowering strains the switch to the flowering stage happens without you needing to do anything. Learn more about cannabis life stages and switching the flowering stage. 6.) 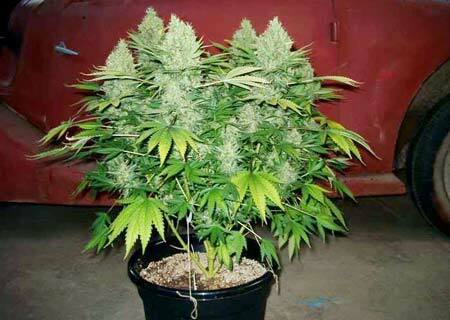 Maintain flowering plants until they are ready to harvest. Care is basically the same as before, except during the flowering stage it becomes more important to control temperature and humidity than ever. Cannabis plants are much more finicky in the flowering stage, and it’s easy to trigger problems if you aren’t controlling your environment. Watch over plants closely, and make every effort to expose all bud sites to light and a breeze. 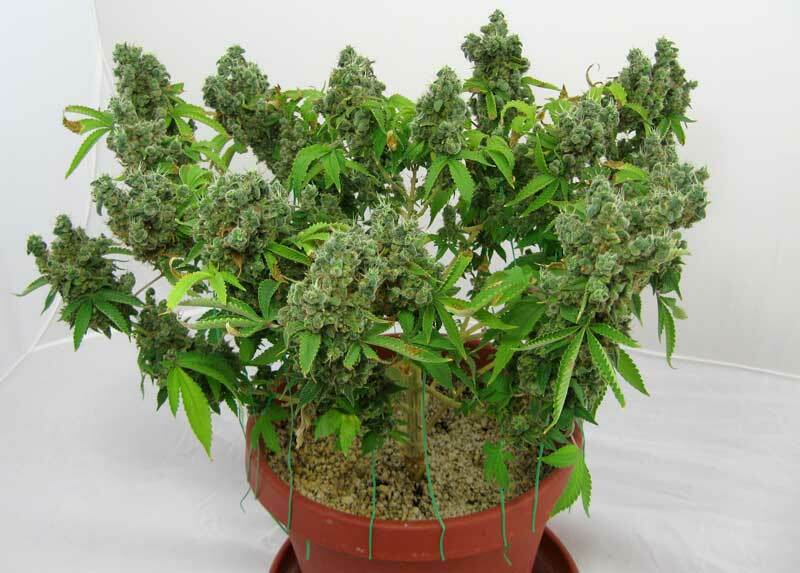 You can still train plants by gently bending too-tall colas, but avoid any major training once the plant has started making buds. Do I Need Special Nutrients?